Ticket includes light sips, yummy appetizers, dynamic entertainment brought to you by WCT kids and alum, and multiple opportunities to help us set the stage so our kids can continue to create magic! Bring your appetite, bring your sense of imagination and magic, and bring your checkbook! You won’t want to miss this exciting fundraiser. Doors @ 4:30 - 7:30 pm | Tickets: $25 - At-the-door only. Tickets $25 per individual, includes light sips, yummy appetizers, dynamic entertainment brought to you by WCT kids and alum, and multiple opportunities to help us set the stage so our kids can continue to create magic! Doors open at 4:30! Get a jump on the line to purchase your ticket, register your credit card, and check out our Vote for the Season line up. 5:00 - 6:15: Join us for cocktails and appetizers in the Blackbox Lounge, featuring guest mixologist Gwen Jones' fabulous twist on our WCT Magic-tini! 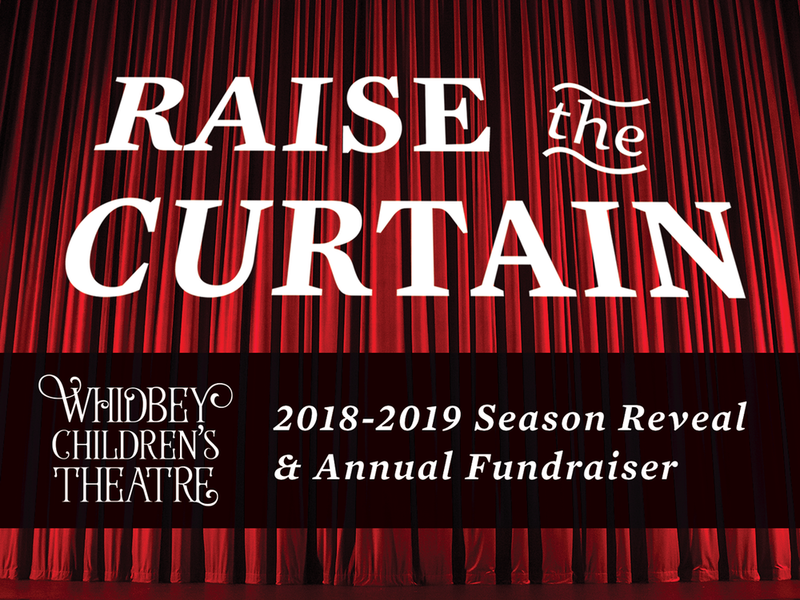 6:30 - 7:30: The 2018 Raise the Curtain Follies begin! WCT kids from the smallest to the tallest will share the magic of Children's Theatre by showcasing their acting, dancing, singing and tech skills with monologues, scripted skits, ensemble pieces and more. This show is one performance only - make sure you get a good seat!